G1000 Flight training before you move on to the real thing. As cost effective as it gets. Don't jump onto the real airplane already. Start with the basics. 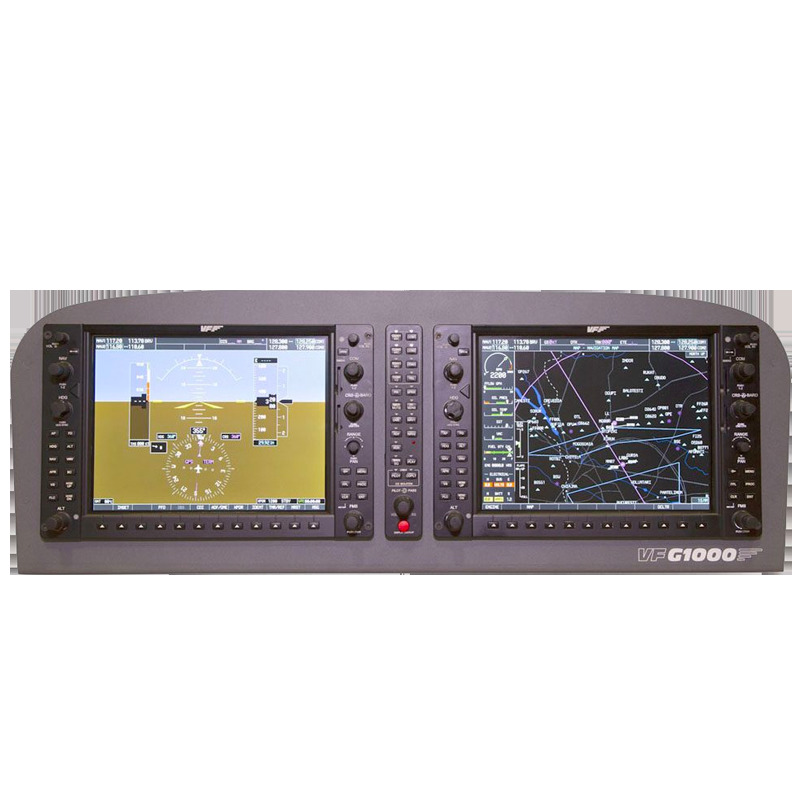 Learn as much as possible as a student and practice your G1000. You'll be suprised how exact it is to the real one. Virtual-Fly gives to its Technical Support and Customer Service for professionals and training companies. We will be there. On the phone, by emails, during Teamviewer sessions, offering technical training, customized solutions, technical visits, whatever it takes, we don´t leave anybody behind. Top-notch G1000 simulator. Turn key for you to enjoy. Plug and Fly Technology: Connect it to your FSX / Prepar3D / X-Plane computer, install the drivers and fly! All the buttons and rotary are 100% functional (except for the simulation software that is used). Replica with exact measurements to the real model. Each element, each button, each rotary has the exact shape and dimensions to the real one. Audio panel with functional triangular indicator leds. 10.4 "LCD screens of 1024 x 768 pixels. Plug and Fly Technology: Connect it to your FSX / Prepar3D / X-Plane computer, install the drivers and fly! Easy installation: Less than 1 hour. Digital video input type HDMI (also allows analog input VGA cable not supplied). The price includes remote technical assistance if you need help to start it up. Does not include Transportation. Taxes or application fees not included. • AUDIO panel: 19,5cm. (Height) X 7.5cm. (Deep) without the X 3.4cm knobs. (Width).